Monitor Bluetooth® combines Hi-FI prowess and Bluetooth aptX® technology to give 30+ hours of exceptional audio quality on a single charge. 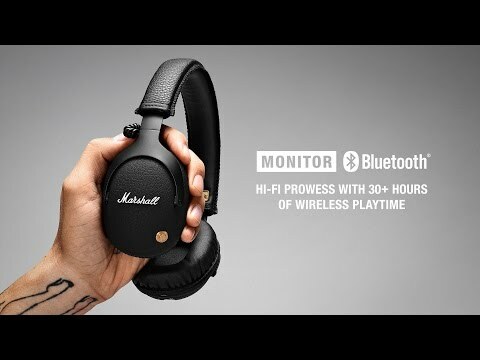 Monitor Bluetooth's ergonomic over-ear construction delivers superior noise isolation without the bulk, staying light on your ears through hours of listening.Black vinyl, brass accents and the embossed Marshall script give Monitor Bluetooth that iconic look, while the foldable design, heavy-duty cast metal hinges and a canvas carrying case provide extra protection for wherever the road takes you. Do you own Marshall Monitor Bluetooth or have you had a chance to try it?